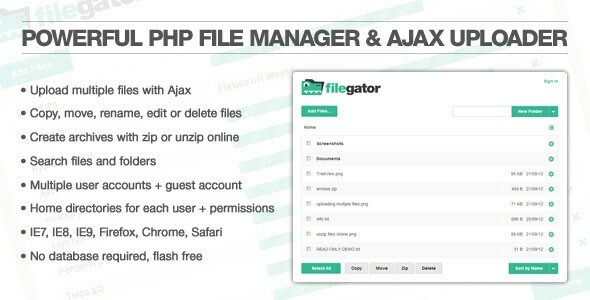 FileGator v4.2.9 - CODELISTPRO | Free Premium Scripts, Plugins, Apps Source Code. Advanced Multi-User PHP File Manager & AJAX Uploader Upload, edit, manage, zip and share files and folders. Multiple user accounts with private folders and permissions.